The pathophysiological alterations of vascular endothelial cells induced by heat were studied. Human umbilical venous endothelial cells were cultured for 1 day at three different temperatures (37, 39, and 42 °C). The telomere lengths, the expressions of proteins associated with telomere length maintenance, apoptosis, heat shock, and vascular function were analyzed. The cell growth was not suppressed at 39 °C but suppressed at 42 °C. The mean telomere length did not change, whereas the telomere length distribution altered at 42 °C. Long telomere decreased and middle-sized telomere increased in the telomere length distribution at 42 °C. The telomerase activity did not show any heat-associated alterations. However, of the components of telomerase, telomerase reverse transcriptase was up-regulated along temperature elevation. In contrast, the expression level of RNA component TERC did not altered. Among the analyzed apoptosis-associated proteins, p21 was down-regulated and phosphorylated p53 was up-regulated. Heat shock proteins and NO synthase were up-regulated at 42 °C. 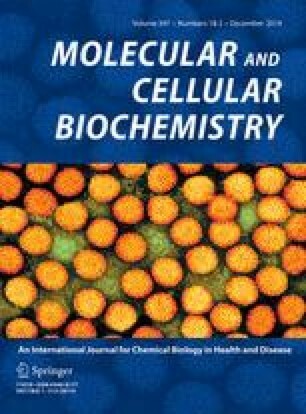 These results suggested that induced growth suppression or cell senescence was induced by strong heat stress rather than mild one predominantly in cells bearing long telomeres with p53 activation, and simultaneously activated some telomere-associated factors, heat shock proteins, and NO synthesis probably for heat-resistant cell survival. We would like to thank Ms. K. Tsuchida, Ms. S. Taguchi, and Ms. Y. Ueda for their expert technical assistance. This work was supported by Grants from the Ministry of Education, Science, and Culture of Japan (#23590885), the National Natural Science Fund (NSFC) (81170329/H2501), and 2012 Health and Labour Sciences Research Grants Comprehensive Research on Life Style Related Diseases including Cardiovascular Diseases and Diabetes Mellitus. The authors have no financial competing interest to declare in relation to this manuscript.